Bat's Brew - Eat. Drink. Love. 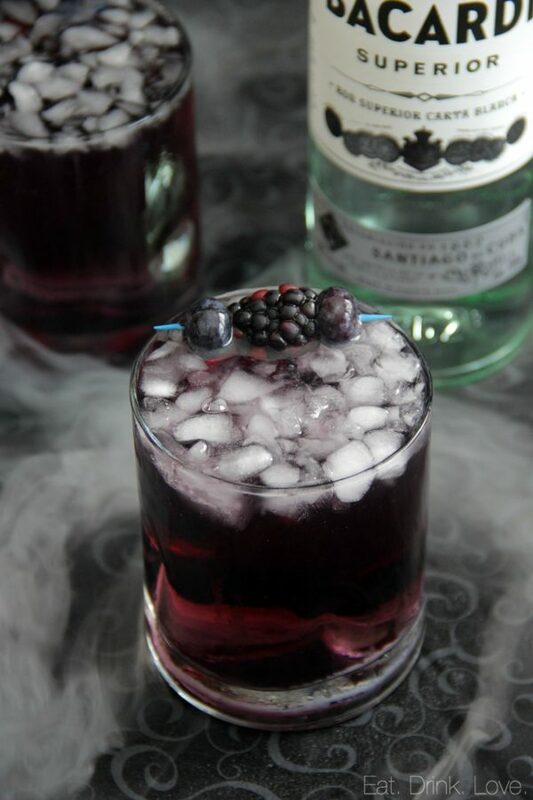 With only a couple of more weeks until Halloween, the parties have officially begun and I’ve got the perfect cocktail for you guys today! This Bat’s Brew is sure to please your guests and I’m kind of obsessed with the deep dark purple color! 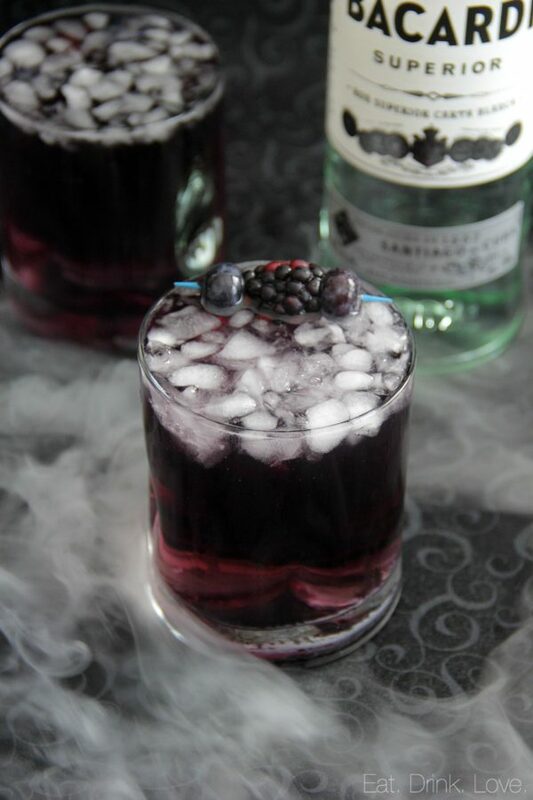 It gives the drink a more sophisticated look for a more upscale Halloween party. 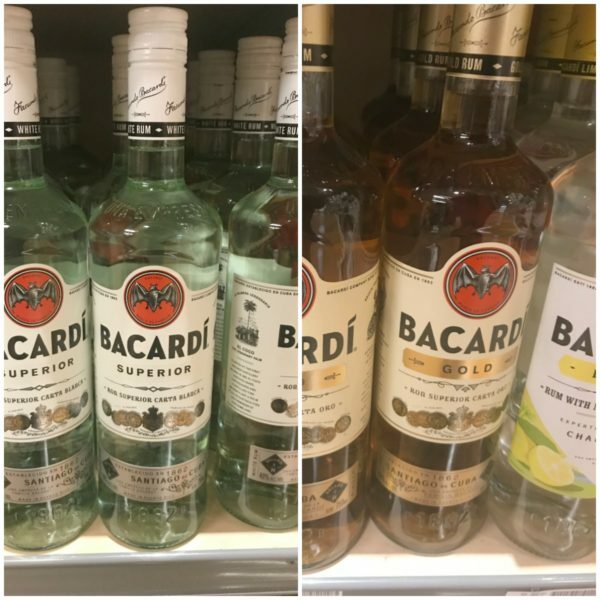 For this cocktail, I reached for one of my favorite spirits: Bacardi! The name for this cocktail was inspired by the mark of the Bacardi Brand, the bat, of course! 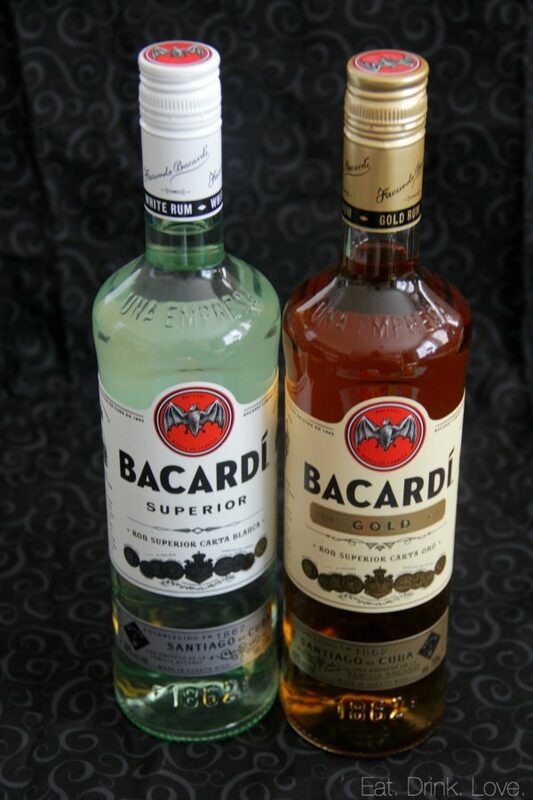 Bacardi Superior and Bacardi Gold are a must-have for your upcoming Halloween celebration. 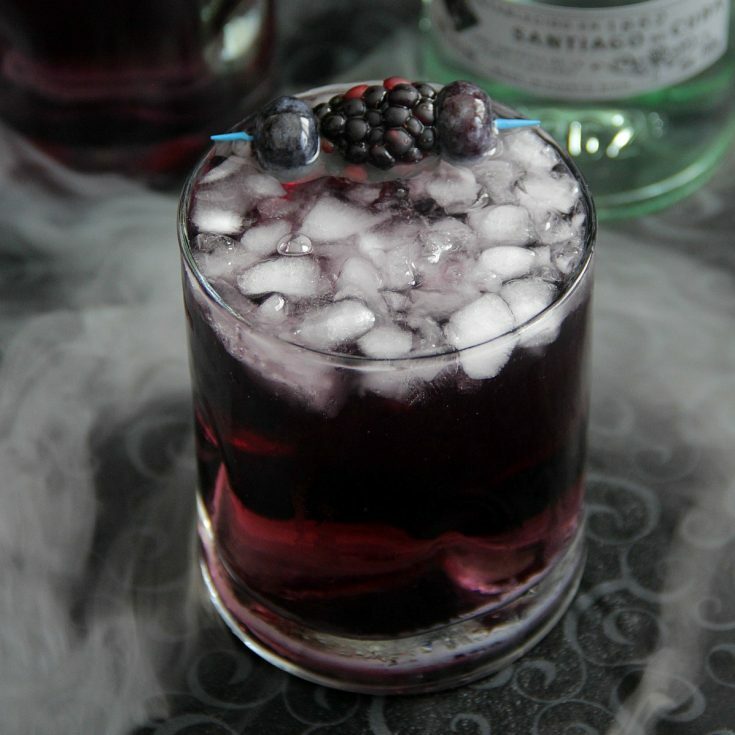 To achieve this spooky purple color, you will also add blue curacao, some cranberry juice, and a splash of grenadine. You can easily mix this drink in a large punch bowl and double or even triple the recipe. 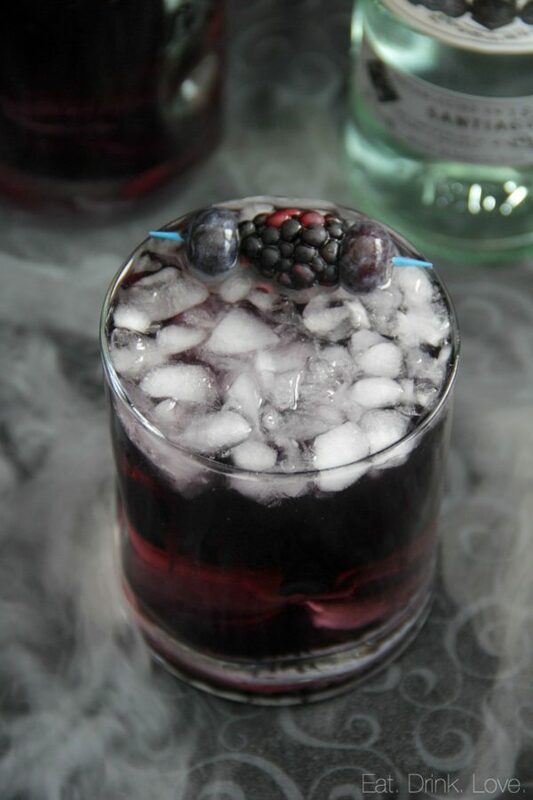 I love the garnish of the blackberries and blueberries for that monochromatic look, but you could also add fun Halloween stirrers or straws. I also recommend adding dry ice to the bowl or individual glasses to add to the Halloween atmosphere! 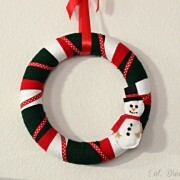 – Choose recipes that can be made in a punch bowl or pitcher as opposed to drinks that have to individually mixed. 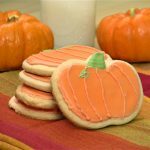 – Mix in advance and store in the fridge – If I know I’m going to be making multiple batches, but don’t want to put everything out at once, I will mix extra and store in the fridge in a pitcher and just add to the punch bowl once it gets low. That way, I don’t have to keep mixing up a new batch over and over and it also keeps the punch bowl fresh and cold. – Frozen fruit is the perfect garnish to throw into your punch bowl. The frozen fruit helps keep the drink cold without watering it down like ice often does. – For food, I’m all about recipes that can be made or prepped the night before so that even as the host, I can also enjoy time with my guests. This party punch is perfect for Halloween! 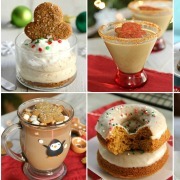 Made with rum and other liqueurs. 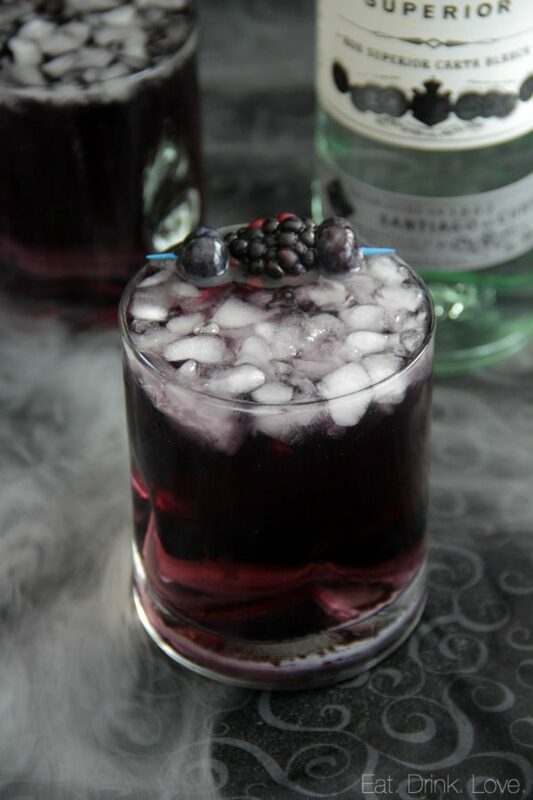 The dark purple color makes for the best spooky cocktail!